¶ Most all current motorcycles shift with a lever operated by your left foot. With the transmission in neutral, gears are selected by pressing down for first and then letting the lever return to the center position. Then, hooking your toe under the lever, pulling up for second gear. 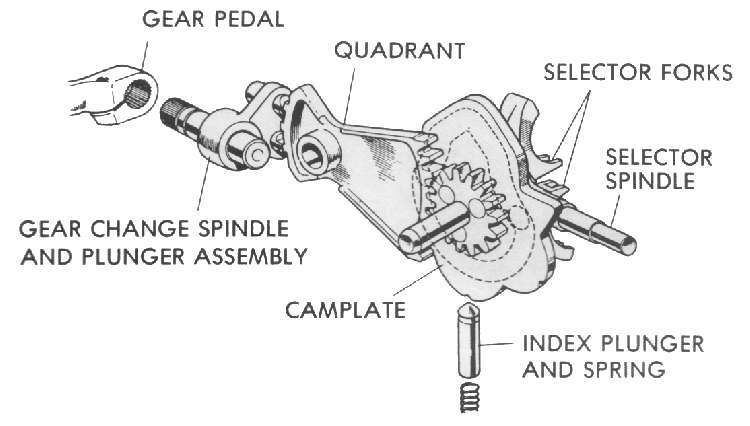 Third and all subsequent gears are selected by pulling up on the lever after allowing it to return to the center position. Sounds complicated but it is quite easy to do. Things were not always so easy. In the 1970s and earlier, the British made bikes that shifted with the right foot. Some were down for first and up for everything else. Some were up for first and down for the rest. Then the Japanese jumped in with neutral all the way up and everything else down, or neutral down and all the rest up. To make things really interesting they also came up with a rotary shift, which went 1,2,3,4, neutral,1,2,3,4, neutral... etc. Supposedly, this was to make city riding easier. All you had to do was shift down one more time, to get into neutral, as you come up to a stop light. One bike, the Bridgestone 175, even gave you a choice between four gear rotary shift or five gear one up, the rest down shifting. 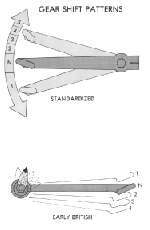 A lever on the crankcase let you choose. Not only that, but before 1965 there was an extra neutral between fourth and fifth gears too. Some of the bikes from the 1920s and earlier even had hand shifting with a lever on the tank. I guess it's a good thing we are now somewhat standardized. 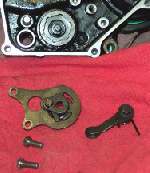 Motorcycle transmissions are made up of gears in constant mesh. Because of this, there are no syncros to speed up the gears. You don't need any. The gears are already spinning. To change between gears you need some kind of gear shifter mechanism to go along with that gear shift lever. Gear shifters come in three different types. 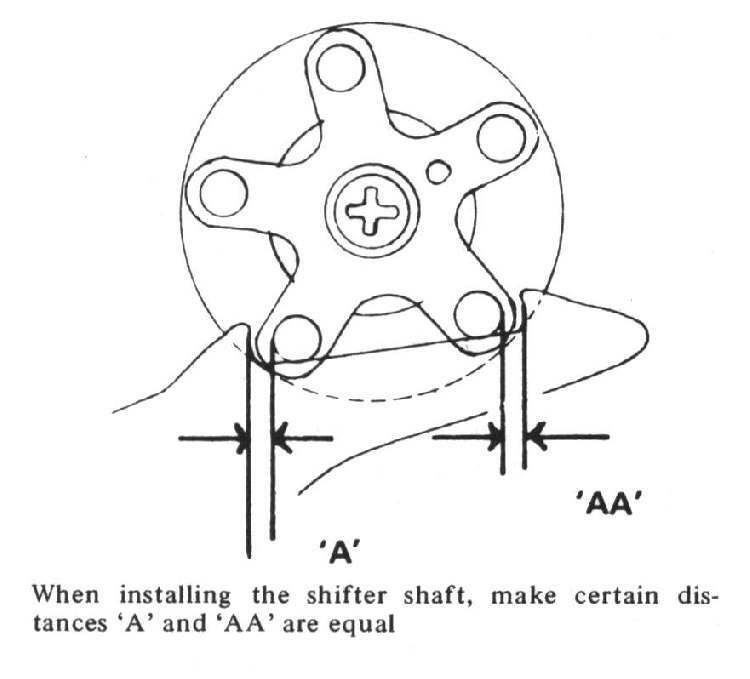 Drum Shifters are the most common. They come in two flavors. 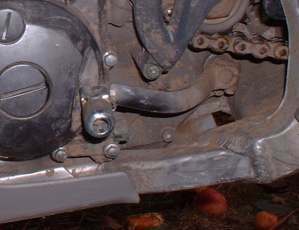 One type carries the shifter forks on the drum. With the other type, the forks are carried on their own shafts. Both types use grooves cut into the shifter drum, to move the forks back and forth. When the drum turns, the forks move back and forth, moving the gears in and out of engagement. These drums need something to turn them. Most Japanese engines use a some sort of a Shift Pawl. To shift gears, you want to turn the drum only small amount and then hold it there. 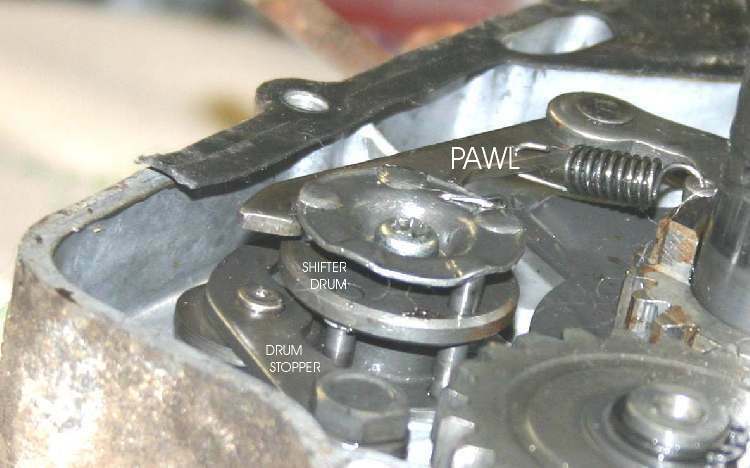 The shift pawl only turns the drum a set amount, each time the pawl is moved. Each time the gear shift lever is pressed down the pawl turns the drum the same amount. If the shift lever is pulled up, the pawl reverses and moves the drum in the opposite direction, the same amount. 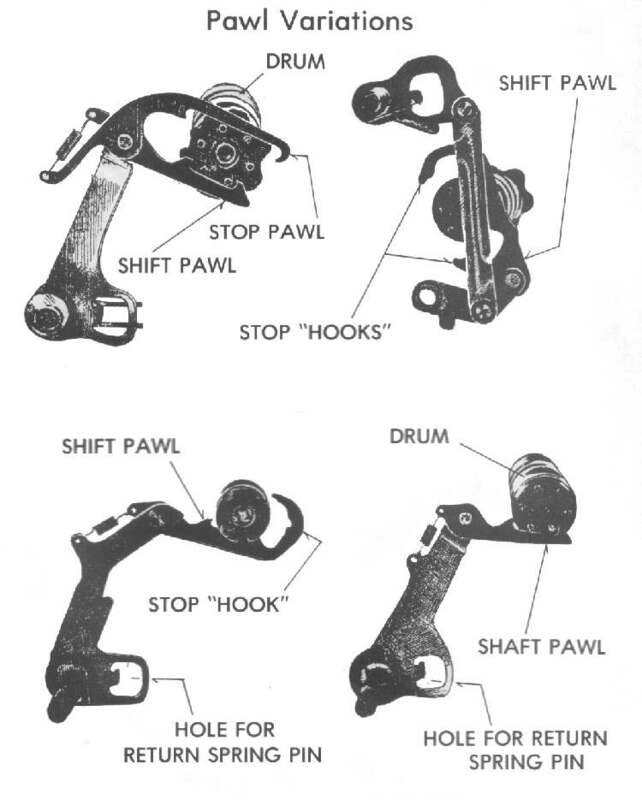 The shift lever moves the pawl and the pawl moves the drum. 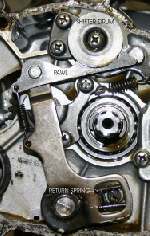 The drum, in turn, moves the shift forks and the shift forks move the gears in and out of mesh. 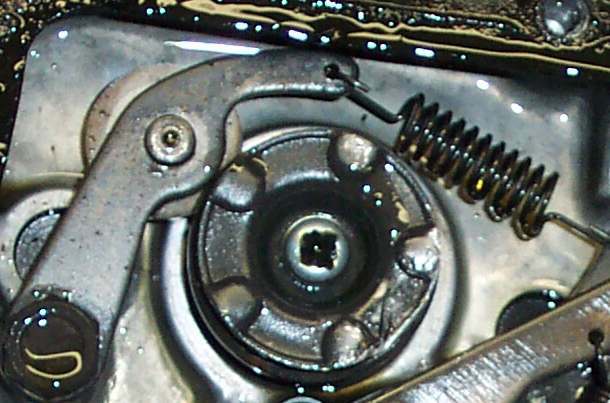 The pawl presses against pins in the shift drum, but then a spring pulls the pawl back to a middle position and the drum kind of just sits there. 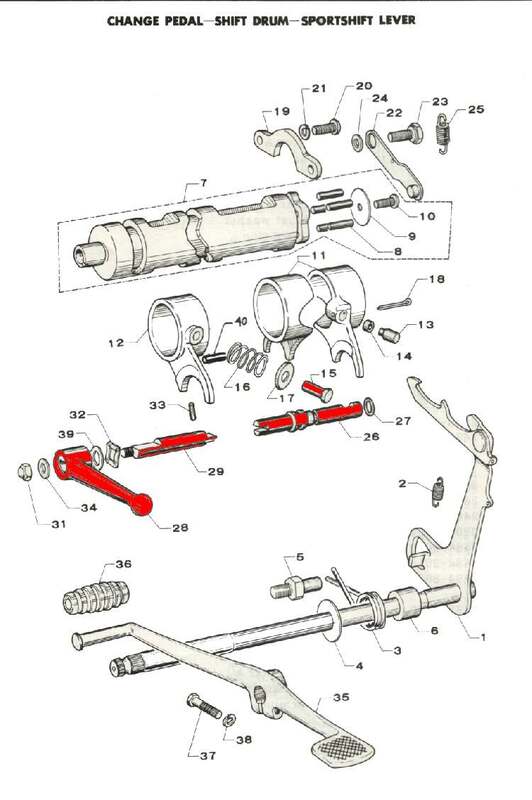 To keep the drum from turning, a wheel sometimes called a Shifter Detent, Shifter Drum stopper, or Shifter Cam Stopper, moves into grooves on the shifter drum, locking it into position. This wheel is spring loaded. this enables the wheel to move in and out of position, as the drum is turned by the pawl. Sometimes, instead of a wheel, a spring loaded plunder is used. 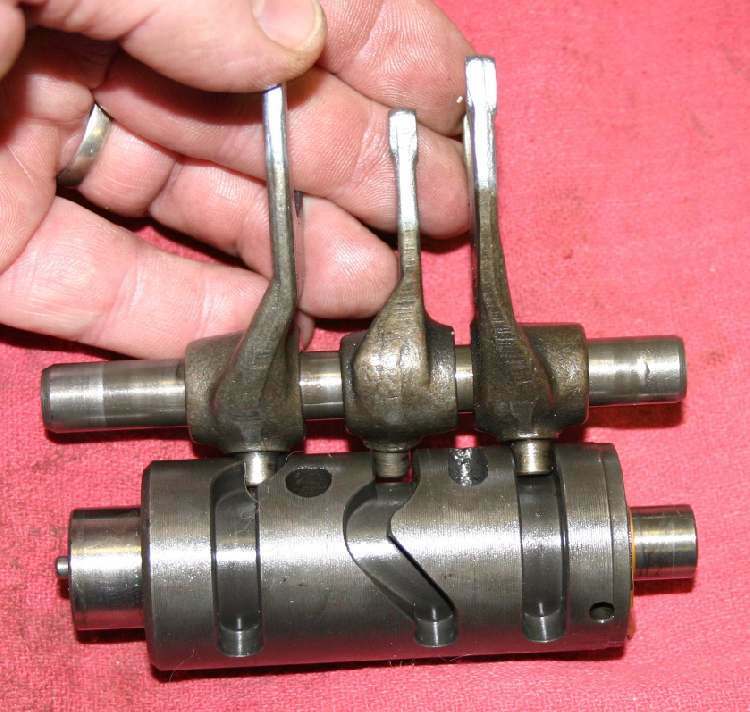 This plunger has a rounded head that fit into Shifter Cam or holes in the shifter drum. This cam, or holes, have beveled sides allowing the plunger to move smoothly in and out of the hole as the drum is turned. Like everything in motorcycles, the ratchets come in several styles. Check your shop manuals! The shifter pawls on some bikes can be adjusted. 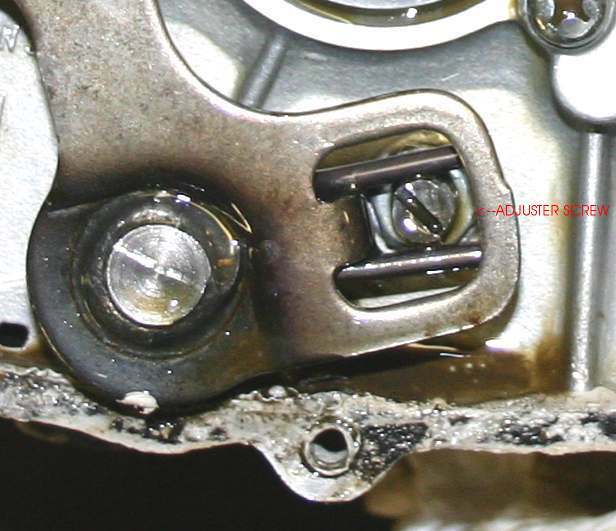 To adjust simply loosen the lock nut and adjust the pawls to the center position and retighten the locknut. Usually, you will never need to adjust this. This is not exactly a high wear item! But, it can be done. 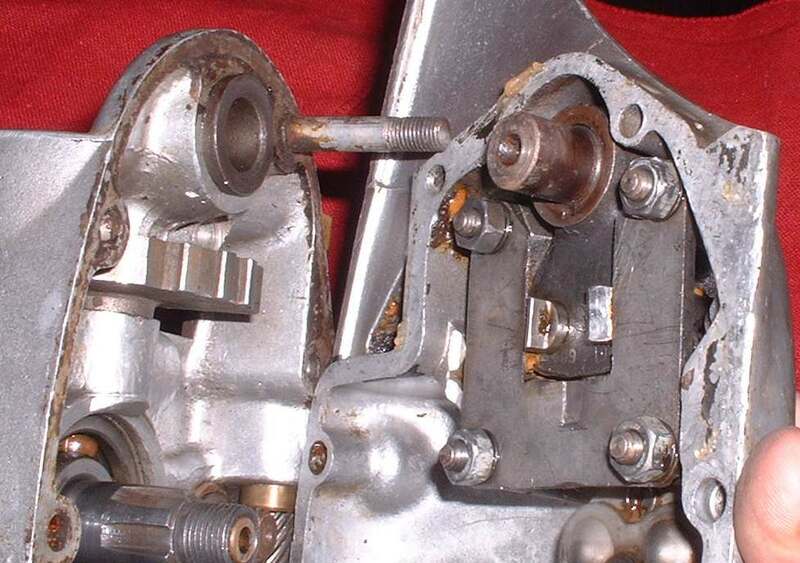 The shifter drum can also be turned by a Ratchet Pawl in the end of the drum. 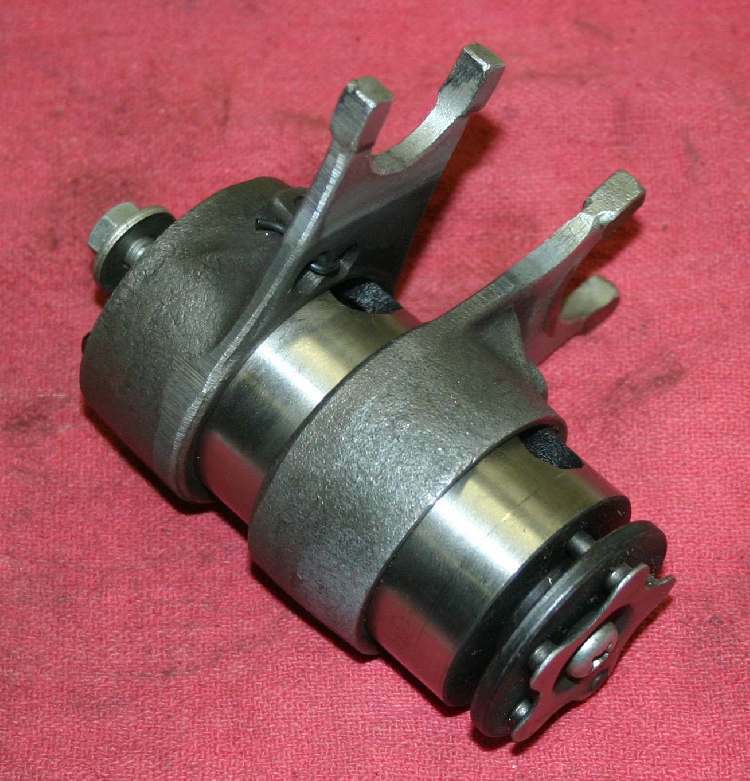 There are several styles of Ratchet Pawls depending on the manufacturer. They all work, generally, the same way. 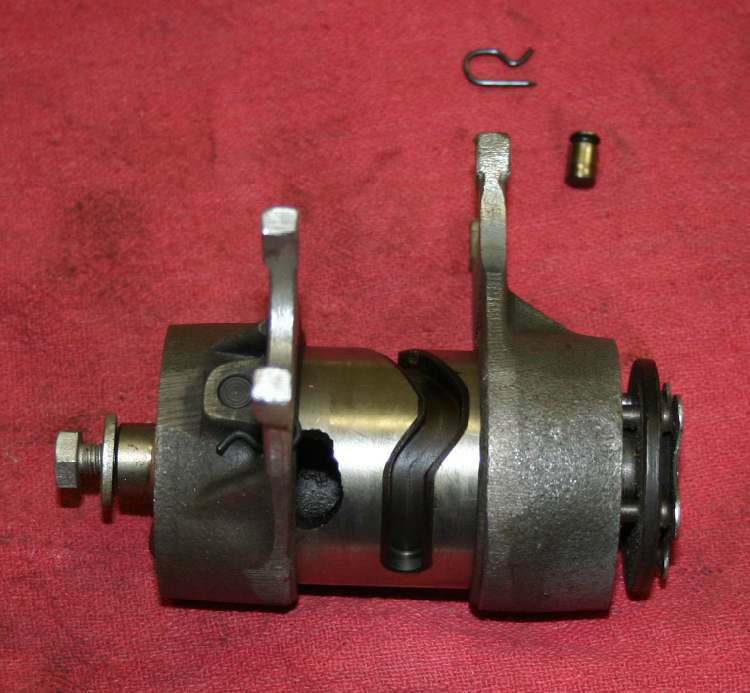 As the shifter shaft turns, one ratchet is locked out and the other ratchet turns. When the shifter shaft turns the other way, the opposite ratchet is locked out and the other ratchet turns the shaft. 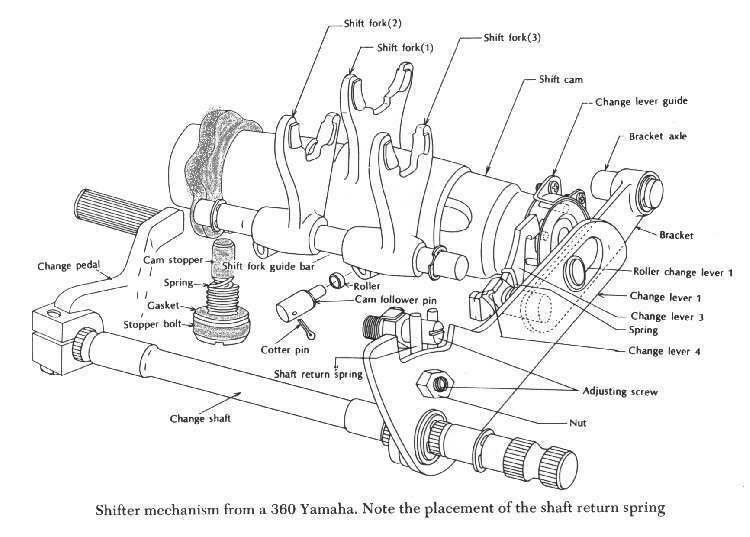 Check your shop manual for the exact way your shifter is set up. 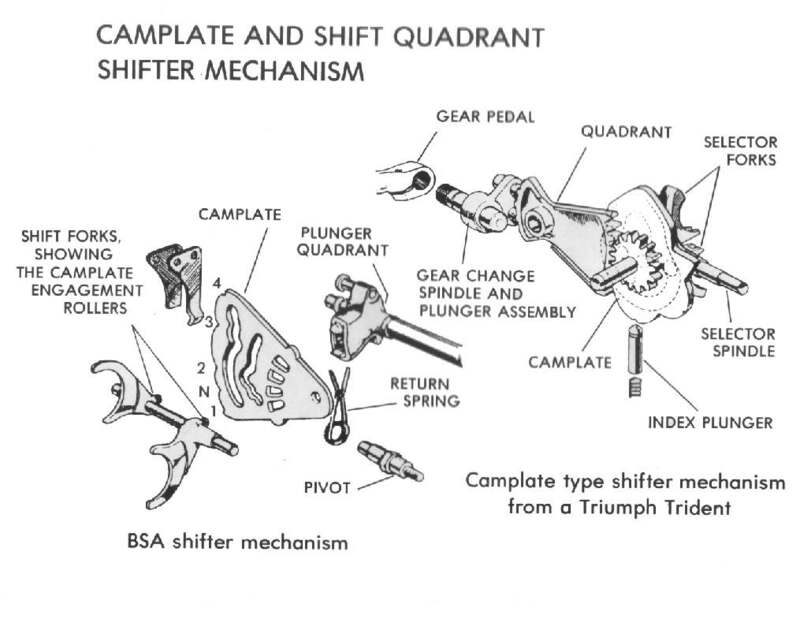 In Camplate and Shift Quadrant shifter mechanisms, the shifter forks are carried on a plate. Grooves in this plate allow the forks to move the gears back and forth. 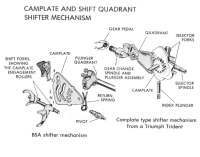 There are twos styles of type of shifter. 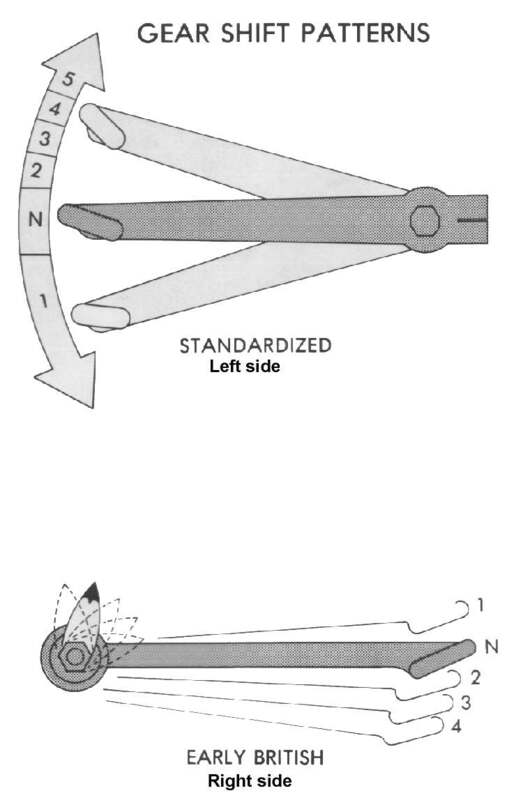 One has the grooves for the shifter forks cut right into the Shift Quadrant itself. 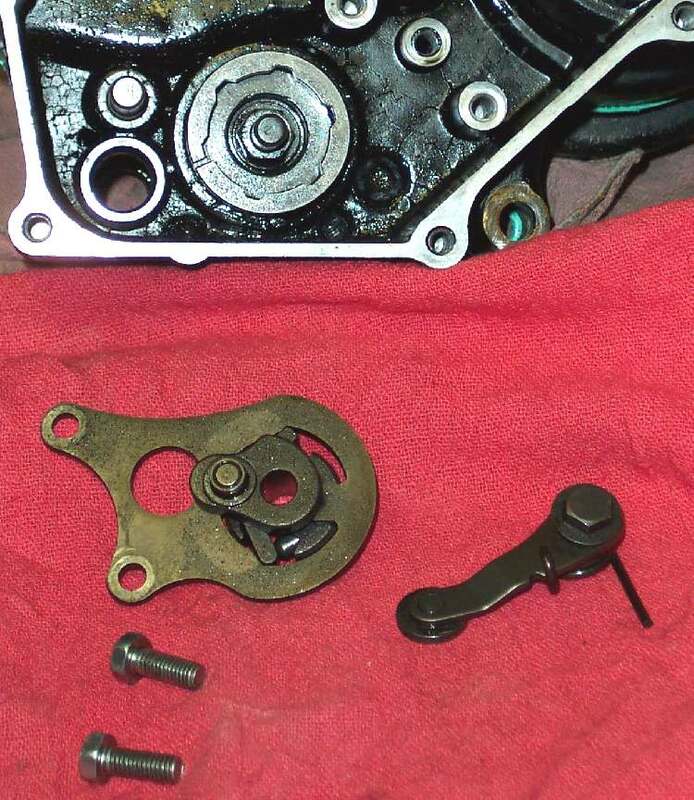 The other has the grooves machined into a Camplate that the Shift Quadrant moves. This style is used mostly on British and European Makes. Lastly, we come to Ball Lock Shifters. This shifter style was made famous by Hodaka. A few other Japanese makes used it too, but Hodaka used it exclusively in all their bikes from the 90cc to 250cc. 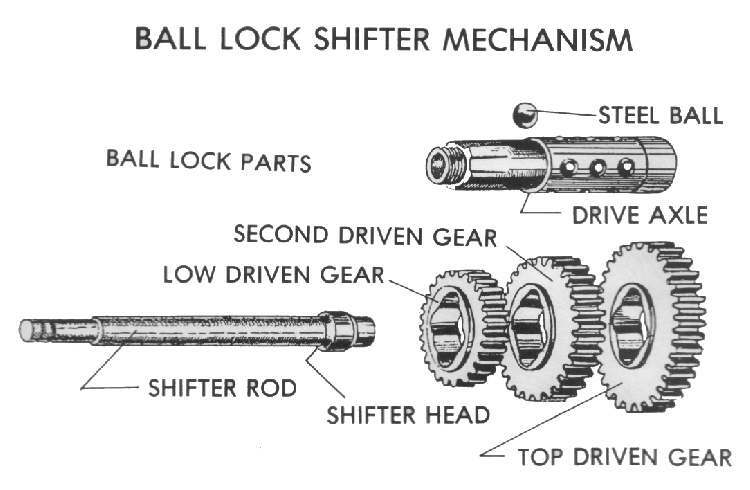 In ball lock systems, one gear shaft has all the gears machined on the shaft. 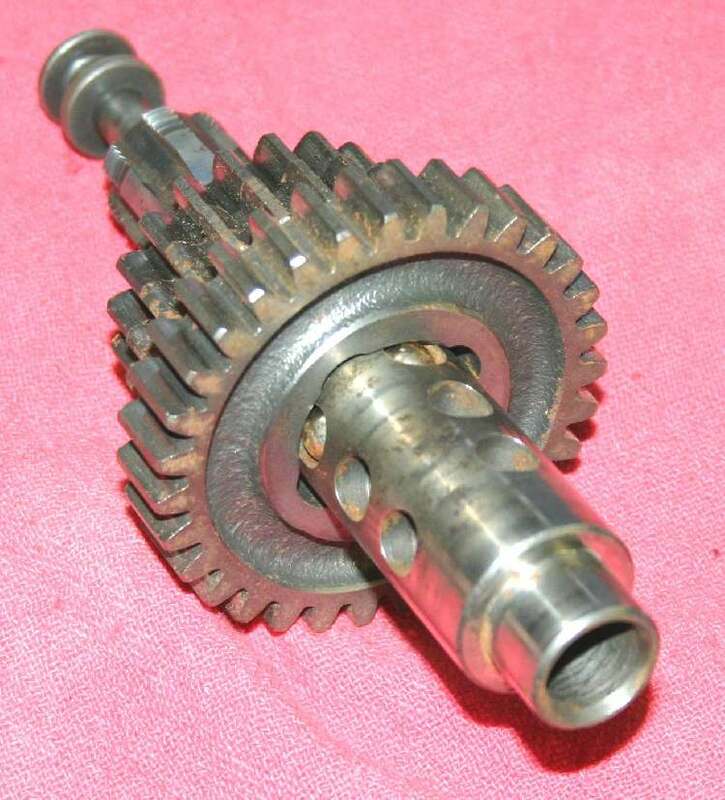 The other shaft is hollow and has four holes in each gear position. There is a ball bearing in each of these holes. 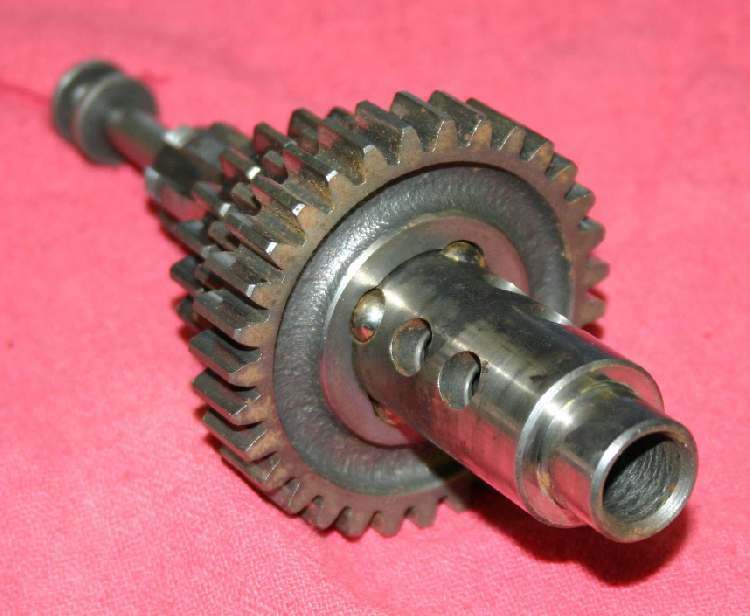 A gear rides around each set of four holes. 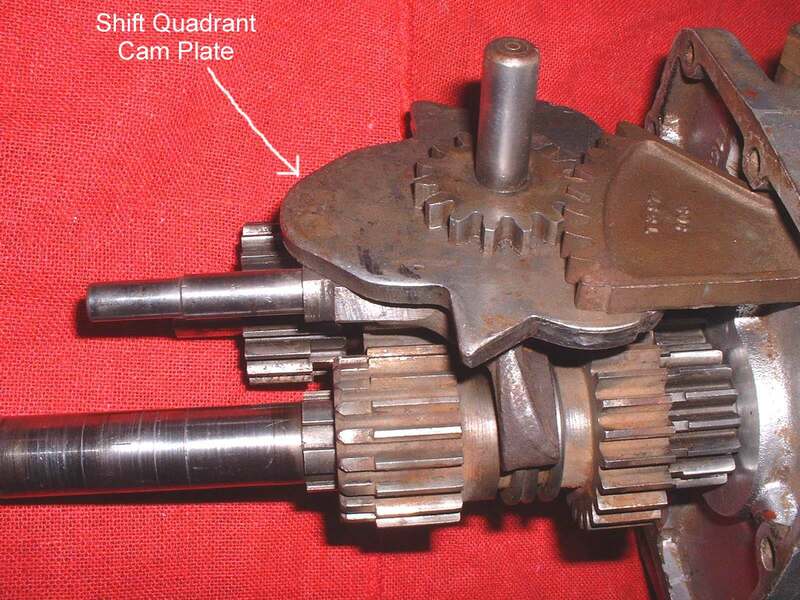 The gears have four indentions cut on the inside of the gear. A Shifter Head moves back and forth, inside the shaft. It pushes the balls out and into the indentions in each gear. This changes each gear. When the next gear is chosen, the balls fall back into the shaft releasing the gear. 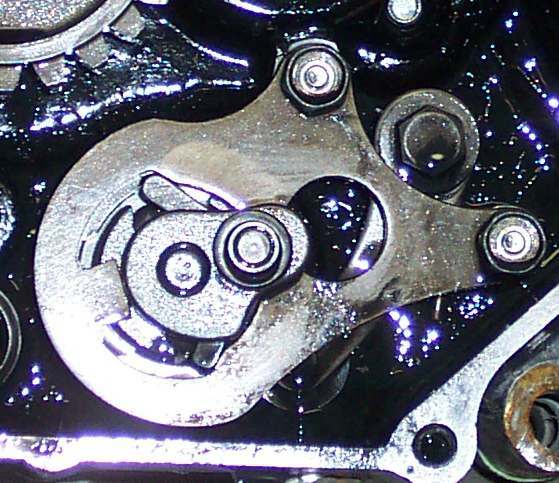 Because all the gears are always engaged with each other, you do not have to use the clutch to change gears. You use the clutch in first gear to get started, but after that, just let off on the gas and shift. Nobody uses this method anymore. Probably, this is because of the high horsepower of today's motorcycle engines. There are still Hodakas out there, so you may still run into this type of shifter. 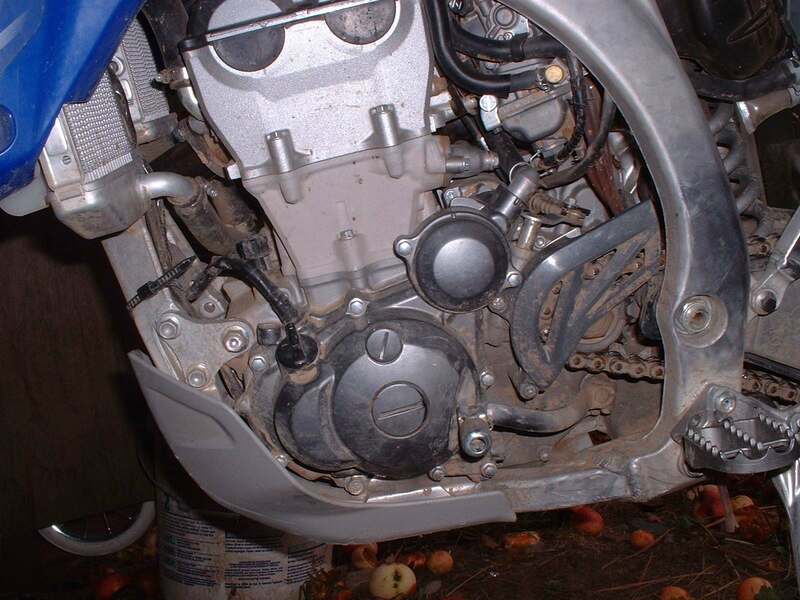 As you might expect, there are a lot of other ways to shift those gears out there but these three cover about 95% of the motorcycles you are likely to run into. 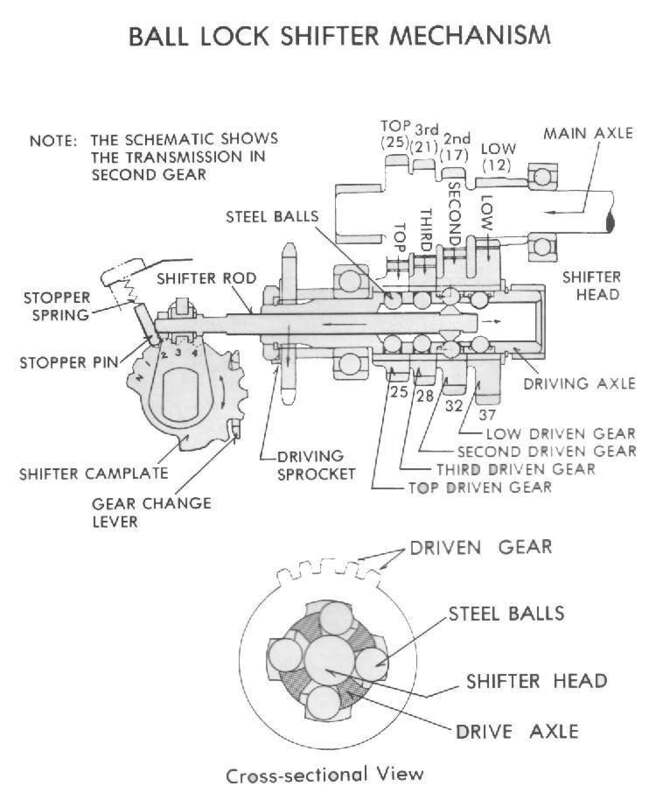 Here are some exploded views of different gear shifters for you to study.